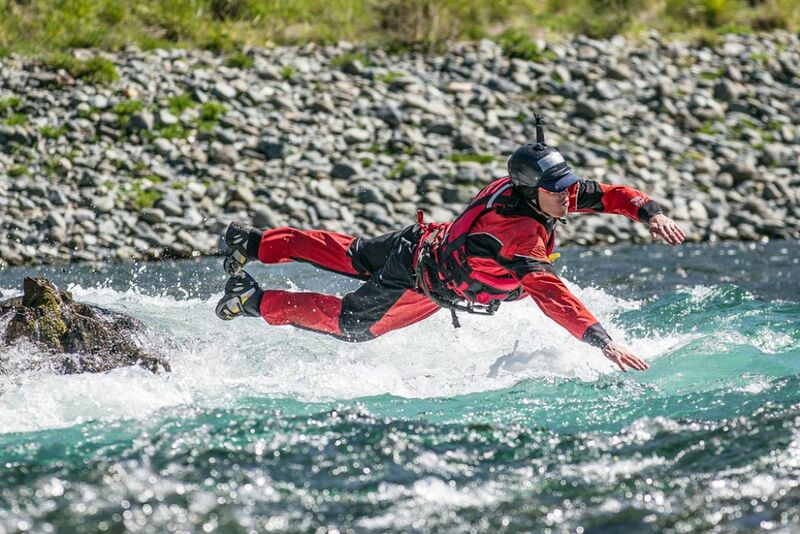 A swiftwater entry doesn’t have to be graceful, it just has to gets the job done. 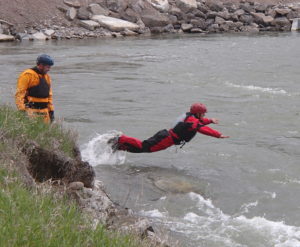 A good swiftwater entry can make or break your swiftwater swim. 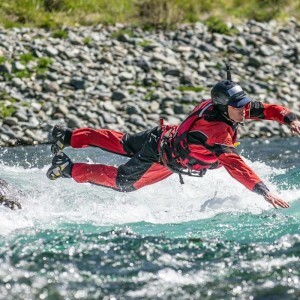 Part superman, part belly flop, it involves extending yourself into the current and can give you the jump start you need to make your target. In our swiftwater rescue courses we tell students that its much easier to swim through air than it is in current. 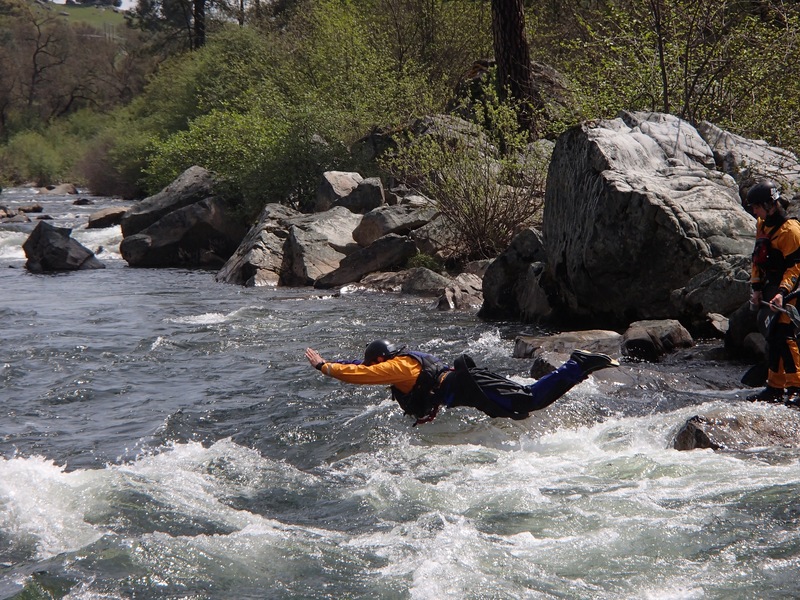 Though none of us is able to fly, the swiftwater entry maximizes your start, and minimizes the time you have to fight the force of the water. In essence, you hit the ground running, or in this case swimming. Start as low to the water surface as possible and jump out not up, making sure to keep you head up, not down like a dive. The higher above the water level you start the deeper you will drop upon entry, and the less propulsion your jump will provide. 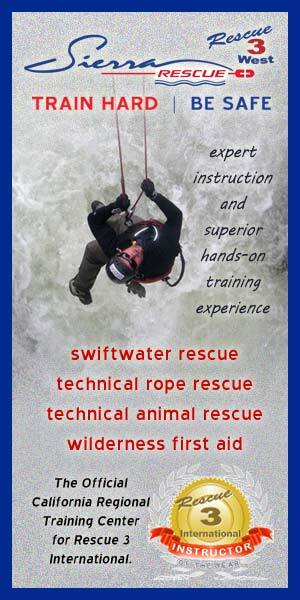 Before any entry into swiftwater ensure proper PPE and set safety downstream. A thorough size-up of the water environment and the potential hazards is critical when considering to put personnel in the water. 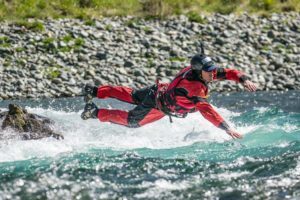 With practice and training, a good swiftwater entry can give you a leg up in challenging swiftwater swims.